Hong Kong is a territory located on China's south coast on the Pearl River Delta. In 2008 it had a population of 6.9 million people, and is one of the most densely populated areas in the world. Beginning as a trading port, Hong Kong became a dependent territory of the United Kingdom in 1842, and remained so until the transfer of its sovereignty to the People's Republic of China in 1997. Hong Kong is one of two special administrative regions and is generally not considered as part of mainland China. About 95% of Hong Kong's population is of Chinese descent, the majority which is Cantonese. 90% of Hong Kong's population practises a mix of Buddhism (mainly Chinese Mahayana) and Taoism. In 2008 there were 600,000 Christians, divided evenly between Protestants and Roman Catholics, and comprising 8% of the population. The Mennonite presence in Hong Kong is the Conference of Mennonite Churches in Hong Kong. It originally related to the Eastern Mennonite Board of Missions and Charities (Mennonite Church) and the Commission on Overseas Mission (General Conference Mennonite Church). It was founded in 1976. Handbook of Information, General Conference Mennonite Church. Newton, KS (1988): 91. Mennonite World Conference. MWC - 2006 Asia & Pacific Mennonite & Brethren in Christ Churches. Web. 24 October 2008. http://www.mwc-cmm.org/en/PDF-PPT/2006asiapacific.pdf. [Broken Link]. Mennonite World Conference. World Directory = Directorio mundial = Répertoire mondial 2012: Mennonite, Brethren in Christ and Related Churches = Iglesias Menonitas, de los Hermanos en Cristo y afines = Églises Mennonites, Frères en Christ et Apparentées. Kitchener, ON: Mennonite World Conference, 2012: 9. Sawatzky, Reynold and Richard D. Thiessen. "Hong Kong (China)." Global Anabaptist Mennonite Encyclopedia Online. May 2014. Web. 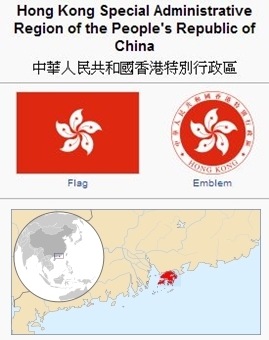 26 Apr 2019. http://gameo.org/index.php?title=Hong_Kong_(China)&oldid=122291. Sawatzky, Reynold and Richard D. Thiessen. (May 2014). Hong Kong (China). Global Anabaptist Mennonite Encyclopedia Online. Retrieved 26 April 2019, from http://gameo.org/index.php?title=Hong_Kong_(China)&oldid=122291. Adapted by permission of Herald Press, Harrisonburg, Virginia, from Mennonite Encyclopedia, Vol. 5, p. 393. All rights reserved. This page was last modified on 21 May 2014, at 07:06.